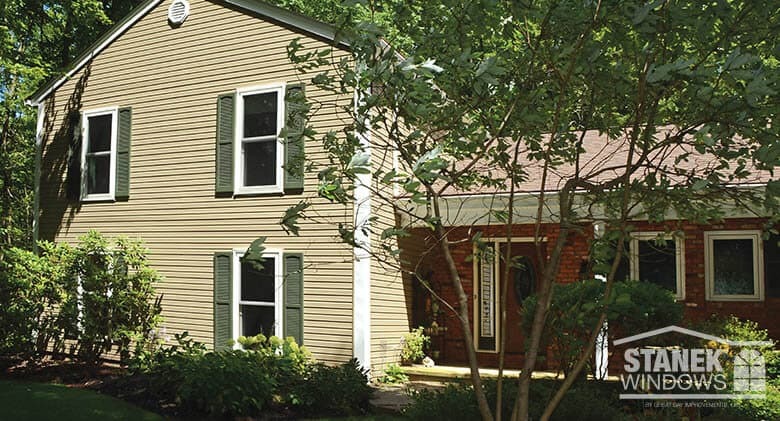 While double-hung windows are still the most common window option, a new trend is adding custom windows to your home. No room is the same, so your windows shouldn’t be either! 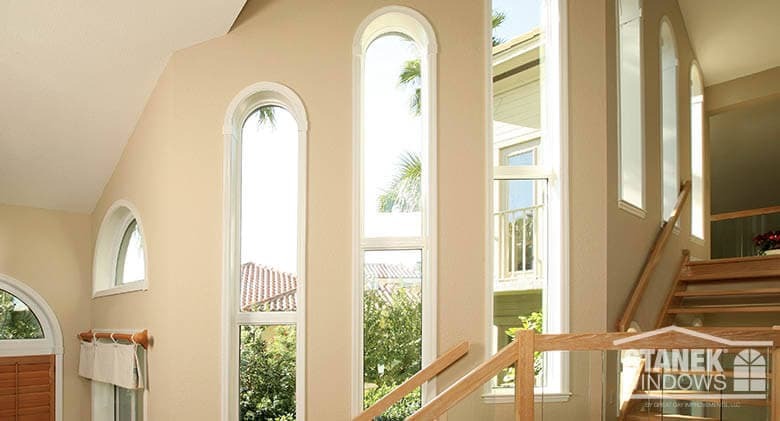 With the 25 different specialty shapes Stanek® offers, you can create a custom window design for your home that will stand out. Large casement windows have also risen in popularity recently due to their ability to control ventilation with ease. There are many benefits to adding large windows to your home, especially when it comes to lighting. Large windows allow more natural light into your home, which can save you money on your electric bill. With the trend of high-ceiling homes, there has been a new development in adding architectural windows in high places on your walls. At Stanek® Windows, we offer many different custom options for you to choose from to ensure we find the right look for your home. Wood windows have always been a timeless choice, but they require extensive upkeep in order to maintain functionality and appearance. According to improvenet.com, wood windows tend to rot and warp after a period of time. Because of this, vinyl windows are rising in popularity, especially those that are structurally reinforced and crafted using premium uPVC vinyl, which is eight times more impact resistant than plasticized PVC. 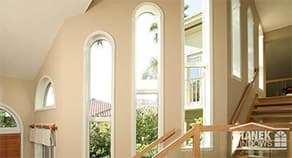 Vinyl windows are more energy efficient and less expensive than wood and also give you the opportunity to customize your look with interior and exterior color options. Why choose white when you can make the exterior of your windows any color to boost the curb appeal of your home? Stanek® vinyl windows are offered in unique color options and are engineered to last and keep your windows looking new for years to come. Think you are done designing your windows? Not quite yet. Every detail counts, including the finishes on your window locks, cranks and levers. Satin nickel hardware is gaining popularity, but it is important that you choose a hardware finish that fits your look and does not draw attention away from your beautiful window. Custom grids or etched glass patterns are another way to add personality to your windows and enhance the curb appeal of your home. You may be thinking that there is nothing wrong with your old windows, but have you ever thought about how much energy they may waste? You’d be surprised how much money our energy-efficient glass windows can save you. The type of glass you choose for your windows greatly affects the flow of heat that enters and exits your home, as well as the amount of light that comes through. 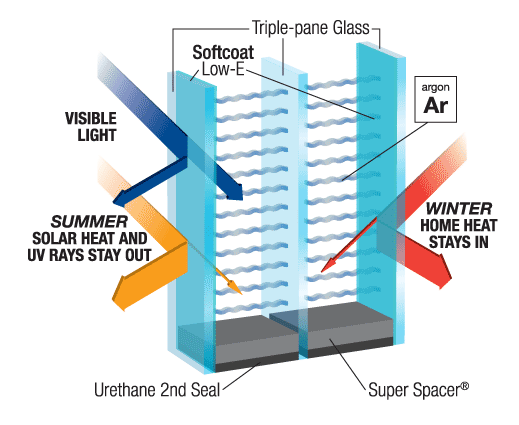 Our high-performance glass options retain more heat in the winter and reflect heat in the summer to reduce cooling costs. Our energy-efficient windows also save you money on other items in your home blocking 90-percent more UV rays than ordinary glass, which saves the fabric, furniture and floor coverings in your home. Windows and doors are the cause for an estimated 70-percent of energy loss in homes, so follow the trend and save money in the long run by investing in Stanek® energy-efficient windows. Trends are always evolving, so make sure you are updating your home with contemporary designs. 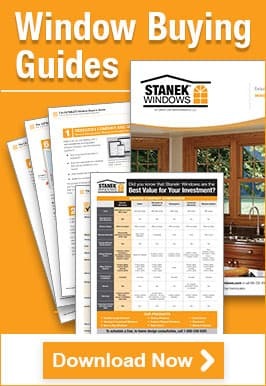 If you have any questions about which custom windows are best for your home, contact the experts at Stanek® Windows. Schedule a free, in-home estimate today to find out how we can customize your windows to be as unique as you are.